Latest Dharamsala News, Continous Updates on the Spiritual Capital of the World ! For Latest News Dharamsala India...Click Here !! Breaking News !! 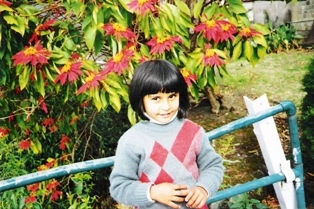 Dharamsala, Shimla, Manali, Kullu, Chamba..."HEAL GREEN"-"THINK GREEN" - Hype of the Month for February, 2008 !! Dharamsala News, Dharamshala:'Heal Green' Hype of the Month for February, 2008 !! The Himachal State Government is considering serious 'Forest Conservation', as it values the Himalayan Forest Land as the richest Natural Green Heritage of the state. 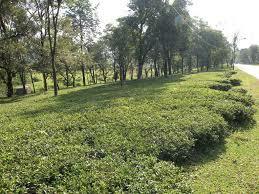 Along with this the Government will be conserving and saving the famous Green Tea Estates of Kangra Valley !! 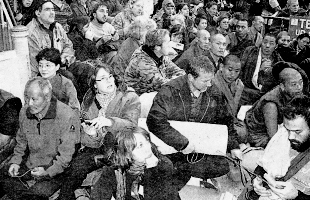 Dharamsala News,French Invitation For Himalayan Doctor, Dharamsala,Dharamshala,March 10, 2008 !! Medical Specialist of the Himalayan State of Himachal, has been invited by France, at the 05th International Conference on rickettsial and rickkettsial disease from 18-20th May, 2008 in Marseille, to present his research papers. Dharamsala News, 'Knowing INDIA' 2008...Dharamsala,Dharamshala,March 10, 2008 !! While India's young politicians, go on a familiarisation tour of 'Discover India'..Academicians from the International world will visit the Himlayan State of Himachal Pradesh to understand the needs of a growing economy, culture and environmental update. Dharamsala News,'Anganbari' News Update..Dharamsala,Dharamshala,March 09, 2008 !! The 'Anganbaris' of the state along with other departments in various regions of Himachal Pradesh, celebrated "World Women's Day", by meriting and awarding the deserving women workers in their field. Dharamsala News,Dharamshala : Himachal Budget News Update,Dharamsala, March 08, 2008 !! The New Himachal Pradesh Budget for the fiscal year 2008-09 offers a keen insight into the new challenges being faced by the Himachal Government for meeting the economical goals along with employment, environmental , health, and educational concerns of the Himalayan State. Some of the major highlights of the Budget are: * Continuation of the subsidised Ration Scheme. * More Health Care drive throughout the State. * More employment posts in various Departments. * More Eco-Tourism Projects in the pipeline. * Better connectivity for the Lower regions of the State. Some of the challenges being faced by the State for environmental conservation have got an impetus by a more integrated community effort by the Builders of the Himalayan State. Town Planning and environmental concerns can look forward to working together for building the necessary infrastructures of a growing State. The Tea Estates, Hospitality sector and Construction firms today are one of the largest employers, in this Himalayan State for skilled and un-skilled labourers and as such play a major role in the local economy. 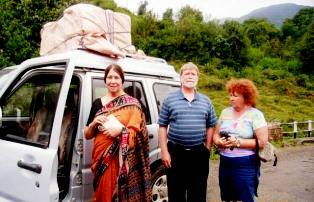 Dharamsala News,Dharamshala : Celebrate 'WORLD WOMEN DAY', 2008 !, March 08, 2008 !! LIC Housing Finance Limited has announced a special cut in interest for Women Home-Loan seekers on the occasion of 'World Women Day' valid till 31st March, 2008. Dharamsala News,Dharamshala : 'Green' Organic News !, March 07, 2008 !! Himachal Pradesh Agricultural Department plans to promote'Organic Farming' in the Himalayan state so that the Central Schemes for Horticulture culivation could be fully utilised. Dharamsala News,Dharamshala :Dharamsala..Celebrate 'Holi' with Planetary Plants..Dharamshala,Dharamsala !, March 07, 2008 ! In Hamirpur, near Dharamsala there is a great Holi News for plant lovers. During 'Holi' The Festival of Color, the local Horticultural Department will put 'Green Shops' to sell Planetary Plants to the public from 19-21st March, 2008. Its celebration time in the Kangra Valley with the devotees celebrating the Holy Birthday of Lord Shiva..the Creator and Destroyer ! Pilgrims thronged the Ancient Shiva shrines of Aghanjar Mahadev in Khanyara, Sidh Mahadev in Sidhbari, BhagsuNag Dev in Mcleodganj and Dal Mahadev in Dal Lake..in Dharamsala, to take the Blessings of Mahadeva for a good crop and harmony in the family. Laying the economic survey the Chief Minister, Prof. PK Dhumal has projected that the Himalayan State is likely to register 8.5% growth rate. Checking the inflation and price rice will be the top priority of His Government. Special emphasis for growth will be in the sector of rural development, employment, environment and energy security. 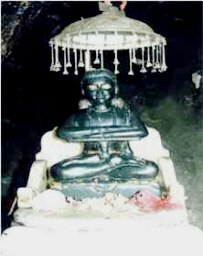 As per the latest news, legend has it that the famous saint 'Baba Balaknath's, meditation shrine was at Khaggal in Hamirpur home to the famous 'Deotsidh Temple'. 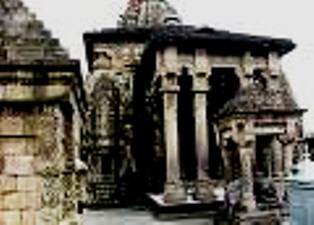 Hamirpur, is a popular pilgrimage site of Himachal Pradesh approx. 04/05 hours from Dharamsala. A fair is held every year during the 'Holi Festival' in spring. The famous temple of Goddess 'Shakti'..The Chamunda Mata Temple hosted 'World Peace Prayers' for the benefit of all mankind, for Peace & Harmony in the world ! The young players of Cricket India..created History in Australia, by winning the Triangular Commonwealth Bank Tri-series at the Gabba stadium. The 'Shoton Festival', an annual celebration of Tibetan Opera (Lhamo) is organized in Dharamshala by the Tibetan artists. It is normally held over an 8 to 10 day period in February or March. 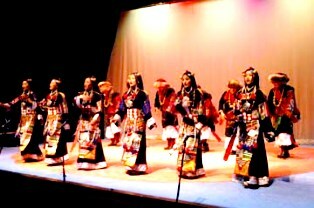 Lhamo Opera Associations from Tibetan communities all over India and Nepal take part in the festivities of traditional theatre, dance and music. This famous Spring Festival of Lhamo Opera is being held, from today, in the peaceful ambience of the Holy Teachings of His Holiness, The Dalai Lama of Tibet. Outside Ancient Hindu Shrines of Himachal Pradesh like the 'Bagla- Mukhi' Temple and in many other places and highways..hoards of Monkeys throng the areas and sometimes create nuisance by playing mischief and destroying the crops of the local farmers. The Chief Minister of Himachal Pradesh has proposed to setup two conservation parks in Nadaun and Shimla, so that this problem can be taken care of without disturbing the Natural heritage and religious sentiments of the Himalayan people. 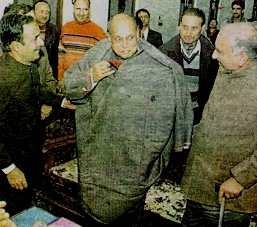 The Annual State Budget of Himachal Pradesh for the fiscal year 2008/09, will be presented by the Chief Minister, Prof. PK Dhumal in the Vidhan Sabha in Shimla on 07th March, 2008. Dharamsala News, Dharamshala: Himalayan News - Weavers Scheme Dharamsala ! Under the Mahatma Gandhi Weavers Scheme 2008-09, the Handloom/Hand Weavers will benefit by a subsidised Life & Accident Insurance scheme in the Himalayan state of Himachal Pradesh. The 'Aanganbari' Centers in Himachal Pradesh, will be practising a new 'social and eco-savvy' program in their school activities. Children will be taken for Nature walks to improve eco-consiousness. Together with this they will be involved in personal & area hygiene, games and physical exercises, Community interaction with folk music & dance. The FIZZ of Himachal fruit wines..adds to the Taste of a Himalayn vacation in Dharamsala/Chamba/Kullu/Manali & Shimla ! Many take them back home to savour the memories of a Mountain holiday. The Himachal Government is resuming the Winery Projects with INDAGE Ltd at Pragtinagar in Kotkhai and Nagwain in Kullu. The company has even imported 14 special wine variety 'grapes' from France for its cultivation on a commercial basis ! Various Colors of the India Himalayas...CM in Kashmiri 'Feeran', welcomed by the Kashmiri Welfare Society..!! We fully appreciate the 'Good Karma' of waiving off, the loans of small time farmers, but the Himalayan people would applaud even more, if 'special packages', could be offered for developing sustainable 'Tourism Infrastructure..Job empowerment and Open door opportunities for Trade professionals'..in Himalayan States , as this is a major economic lifeline of the Mountain folks !! The people of Himachal Pradesh are hoping for a GREEN Revolution in a GREEN Himalaya ! The Himachal Government and the local administration has made efforts to bring the Internet services to the Villages of Kandi and Khanyara..Great surfing news for the Village Schools and the local kids in Dharamshala ! The 'India Himalayas' of Himachal Pradesh is getting ready for the famous 'SHIVRATRI Festival' on 06th March, 2008, dedicated to the Maha - Yogi (Ruler of Kailash Parvat)..LORD SHIVA ! His birthday is celebrated with great fan and fare in Mandi, Baijnath & Dharamsala, where these ancient Shiva shrines dating back to the 8th century , are thronged with His devotees in trance and gaiety. The married Himalayan women pray this day for the long life of their husbands and the young unmarried girls pray to Lord Shiva for a good compassionate husband in their lives. 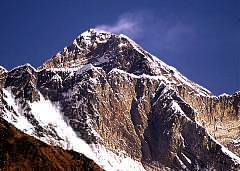 This ancient Hindu Vedic traditions is still reflected in the Mountain People of the Himalayas! 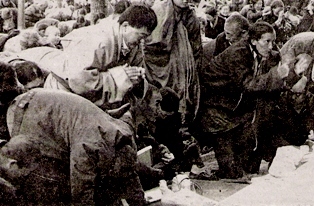 The Himachal Government has initiated the 'Clean Dharamsala' drive for proper sanitation & severage system in the town and has made sincere efforts in this direction to make Dharamsala an International status, taking in view the small township attracts many International visitors who come here for spiritual pursuits and personal growth. An initiative appreciated by the people and foreign visitors alike. Dharamsala(Feb,2008)Dharamshala Dalai Lama Peace Teachings. 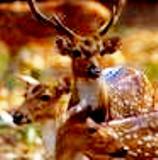 With the initiation of the umbrella Natural Conservation Society of Himachal all Wildlife Conservation Parks of the State..Gopalpur (Palampur) near Dharamsala, Rohru,etc will be maintained and upgraded. The local Community Society of the region will be working in close coordination for better amenities and animal care. Addressing a State Level Meeting in Dharamshala of the Indian Medical Association - Himachal Chapter, the Chief Minister of the State is committed to exploring the completion of the Vivekananda Medical Research Trust, headed by Veteran BJP Leader, Shri. Shanta Kumar. The Institute is already treating International and local patients through Naturopathy and other Ancient Himalayan treatments. The recent Railway Budget promises better services and security at reasonable price for all Travellers. The people of Himachal Pradesh are looking forward for the upgrading of the 'Himalayan Queen' and broadening of the narrow gauge tracks. Good News..preparations are on in the beautiful 'Shangrila' of Himachal Pradesh...The Spiti Valley, for the oncoming 'Kalachakra' Initiations Puja in Kaza in June, 2008. The Voluntary Health Association of Himachal Pradesh has requested for the implementation of various Tobacco Control measures to make Shimla..SMOKE FREE !! The retaining wall of the Ancient Manjeshwari Shiva Temple of Kandi & Khanyara Village adjoining the old Manjhi Khud bridge is being repaired by the local administration. This will serve us well for the oncoming Monsoon season and the natural heritage of this village. Due to the incoming Summer Tourist Season in the Valley the heavy snow of the famous Manali/Rohtang/Leh road is being cleared quickly by the administration. William Blake's memorable peom.."TIGER ! TIGER..Burning bright in the Forest of the Night..!" We hope 'Save the Tiger Campaign' in India, will help this Royal magnificient animal to be the Pride of Indian Jungles ALWAYS !! The Chief Minister of Himachal Pradesh today inaugurated the New Indoor Sports Stadium in Dharamsala and distributed Awards to all sports achievers of the State. The Township of Dharamsala will also soon be having the Ropeway from Mcleodganj to Triund along with new roads and bridges in the District of Kangra for the convenience of the Tourists and the people of the Valley. Keeping in mind the recent Travel trend for the Ancient Health Traditions of the 'Himalayas'..HPTDC ( Himachal Pradesh Tourism Development Coporation), is introducing 'Herbal Ayurveda' Treatments in their Hotels in Himachal Pradesh. The State Animal Welfare Board is re-constituting their policy on Animal Care in Himachal Pradesh by implementing strictly..the Animal Cruelty Act. The Board will act as a facilitator to protect the domenstic animals from cruelty and being abandoned in the hills..specially old cattle and female dogs !! Dharamsala...the Spiritual Capital of the World is buzzing with the Peace Teachings of His Holiness the Dalai Lama. It is appropriate at this time when it is most needed to hear the Railway Ministry granting approval for the 'Shatabdhi Express' train connecting Delhi to Pathankot..the nearest Railhead. The International/ Domestic Traveller is hopeful this will happen soon, along with the ugrading of the Heritage Toy Trains of Kangra and Shimla. The Himalayan State of Himachal Pradesh is unique that it has more Tourists visiting than the entire population of the state. This speaks volumes of the kind of importance 'Tourism' has in the economical structure of the State. Realising, this importance the State Government has requested the Union Government to kindly renew the regular flight schedules for Delhi/Kullu sector, along with better services and regular flight schedules from Delhi to all major regions of Himachal Pradesh. Night landing facilities at Kangra Airport along with a much needed International Airport would benefit the People of Himachal Pradesh and our neighbouring Himalayan States ! Chief Minister of Himachal Pradesh , Prof.P K Dhumal has initiated better communication and Public/Govt. Interaction for the People of the Lower regions of Himachal Pradesh by promising one State Cabinet Minister to be stationed at the Vidyan Sabha Secretariat in Dharamsala through out the calendar year . This will also, curb the heavy expense of having two full fledged Capitals in the State, considering the Administration is run from Dharamsala..the Winter Capital for a few months. The Hospitality and the Travel Trade Industry of Himachal Pradesh is sure that it will benefit with the merger of Air Deccan and KingFisher Airlines as 'KingFisher Deccan'. While Air Deccan stands for economic viability..KingFisher Airlines the country's Premium Airline symbolizes.. Quality Good Times in the Skies !! This alliance of strength should usher a new Era of Comfort in Himalayan Air Travel. With the cooperation of the Aviation and Rail Ministry and the sincere endeavour of the Himachal State Government, the Tourism Industry is hoping for a Global Tourism boom in the Himalayas !! The small township of Dharamsala has been graced by the Annual Teachings of His Holiness, the 14th Dalai Lama of Tibet. Many gather here, from all walks of life to improve their spiritual and personal growth. The Soft Adventure activities and infrastructure to be developed by the Himachal State Tourism for more economic viability to all segments of society. For minimising the 'carbon emissions' in the Valley the Government of Himachal Pradesh has initiated a 'green drive' in the state by requesting the Union Government's support for supply of CNG gas. The colorful spring festival of 'Jukaru'(Greetings).. a family get-together wishing each other good health & blessings from the elders. This 15 days festival is one of the most important one for the 'pangwalas' of the beautiful tribal belt of Pangi Valley in Chamba district. The locals here celebrate it by storing one month before the festival local butter, desi ghee, sattus, honey and 'pater'( Local wine), for the merry-making along with their traditional ceremonies. The Himachal State Government is looking forward to a Tourism BOOST in the coming year 2009, by improving better Air & Train Communications with required support of the Union Government. The Hospitality & Tourism Industry of the state would benefit and appreciate this effort as there is a need for an International Airport in the Himalayan state. It would help a lot to promote Tourism, if there is regularity in the Domestic Air services in the region as cancellation of connecting flights from Delhi causes a major inconvenience to the International tourism visiting the Himalayan state. Domestic airport services for the stranded passengers should also be taken care to give 'a healing touch'..a tradition of the Himalayas ! Himalayan naturalists are of the opinion that a National Conservation Park would be a very good initiative for green eco-drive, by merging the Tundah and Kugti wildlife sanctuaries of the beautiful serene valley of Bharmour in Chamba. These sanctuaries are a treasure of rare flora and fauna..rare Himalyan wildlife like the 'Ibex' and the Himalayan Thars (Kerth). The Indian Army launched a courtesy 'Operation Sadhbhavana' wherein they invited the senior citizens of the ethenic communities of Jammu & Kashmir to mingle with Himalayan communities of Himachal Pradesh. 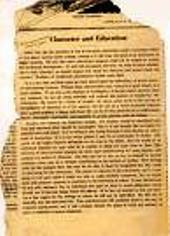 For more on Dharamsala News of HH Dalai Lama Teachings...CLICK HERE ! For more on Green Heroes in Dharamsala News...CLICK HERE !! ***FOR ALL THAT HAS HAPPENED BEFORE YOU JOINED US..GO TO OUR DHARAMSALA NEWS 'ARCHIVES BY CLICKING ON THE GRAPHIC BELOW..! !